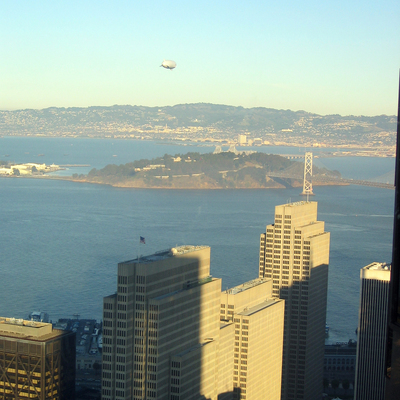 An airship behind the Embarcadero Center towers with Yerba Buena Island in the middle distance and the East Bay beyond, from the Bank of America building. Add tags for "An airship behind the Embarcadero Center towers with Yerba Buena Island in the middle distance and the East Bay beyond, from the Bank of America building.". Be the first. <http://www.worldcat.org/oclc/841442259> # An airship behind the Embarcadero Center towers with Yerba Buena Island in the middle distance and the East Bay beyond, from the Bank of America building. schema:about <http://www.worldcat.org/oclc/841442259> ; # An airship behind the Embarcadero Center towers with Yerba Buena Island in the middle distance and the East Bay beyond, from the Bank of America building.